Johnson’s total winnings are likewise respectable but not necessarily honours worthy. Nevertheless, she was still inducted into the Poker Hall of Fame in 2011. Though she’s undoubtedly skilled, Johnson’s poker playing acumen may not be the only reason for her induction into the WSOP Hall of Fame. There are plenty of poker players who have outstanding skill or have made tons of money, but few have contributed as much to poker competitions, organisation and reputation as Linda Johnson. In 1993, Johnson bought CardPlayer magazine (along with Denny Axel and Scott Rogers) and quickly turned the publication from a 68-page black and white to a 132-page full colour glossy. One of the major elements behind it’s success was that Johnson approached the content as a means to promote the positive elements of poker which quickly captured the interest of readers. 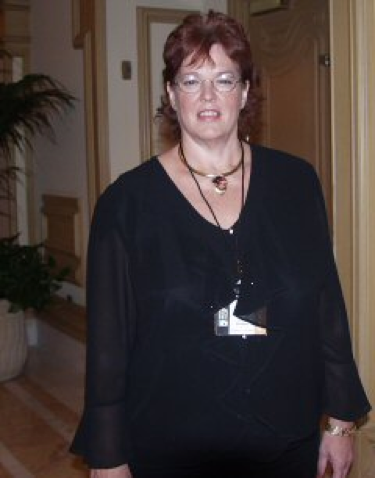 Although she stepped down as editor in 2000, Johnson still owns Card Player Cruises and writes articles to help present poker to a wider audience. Speaking of positive elements, Johnson was also a driving force in establishing the Tournament Director’s Association, a non-profit organisation designed to create industry standards for poker events and a uniform set of rules so that every game has a consistent, high quality tone. Her work has had a great impact on enhancing poker’s reputation for the general public and continues to this day. Perhaps her best-known role was announcing for the World Poker Tour (WPT), where she served as the WPT Studio Commentator for the first six seasons. Johnson’s contributions to the WPT were so significant that when they announced the first inaugural WPT Honors Award, she was the first to receive one. These roles and others are all eating into Johnson’s time so ferociously that she barely has time to play anymore only snatching occasional games of online poker in between her work as an ambassador for poker. The Most Important Woman in Poker? There’s a wide field of outstanding female players to choose from if you’re talking about ability. Victoria Coren-Mitchell, Barbara Enright or Vanessa Selbst (probably the best female poker player in the world right now) could all be named as hugely influential women who’ve made a mark on the game. But Linda Johnson is different – her work to improve poker as a game, its perception and inclusivity are all things to be applauded. The poker industry at large has recognised this with accolades being regularly awarded to the First Lady. But what do you think? Is Linda Johnson the most important woman in poker? Let us know in the comments below!